If there’s one thing that gets our customer’s skin crawling, it’s bed bugs. Infestations periodically make their way in and out of news headlines, and that’s when we get the most phone calls about checking for issues. There are something things you can do to check for bed bugs at home before we come out and inspect. First, check your bedding, mattress, box spring, and all around your bed. 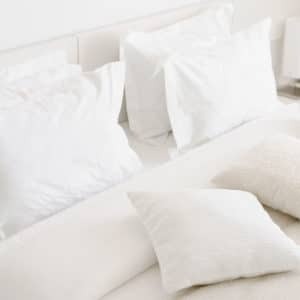 Strip your bedding from the mattress and box spring. Then use a flashlight to check both sides of the mattress and box spring. Look for bed bug feces, shed skins (clusters of dark dots), eggs, and blood stains. It’s helpful to run a credit card in these crevices too, to oust bug from their hiding spots. Although the name suggests these bugs would only be found in a bed, they can actually be anywhere in your house. Use your flashlight and inspect the furniture in your room, and work your way throughout the rest of your house. Thoroughly scan moldings, baseboards, furniture legs, upholstery crevices, cracks in the wall and other nooks and crannies that are harboring bed bugs. Swipe these areas with a credit card to uncover hiding bugs. Do a full-body scan to check for unexplained bumps, welts, and blisters for bites that showed up overnight. Pay special attention to your arms, face, neck, hands, and shoulders. The bites are usually raised, discolored skin with red dots in the center. They slightly resemble mosquito bites in look and feel, only they usually appear in pairs or groups of three. 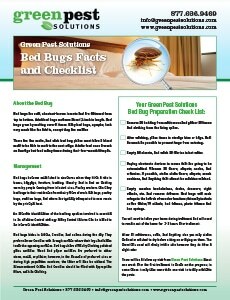 Bed Bugs Be Gone with Green Pest Solutions. If you have any signs of bed bugs, don’t delay! Call us right away at 877-636-9469. 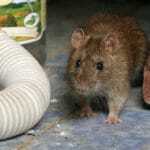 We know just how to get these pesky pests out for good. Bed bug bites can lead to skin rashes, allergic reactions, and psychological symptoms, not to mention a sense of uneasiness as you close your eyes at night. Rest easy after you read this handy guide to the most common species of bed bugs and know how to identify and control them.